Many of you have asked for this, and it’s finally here! 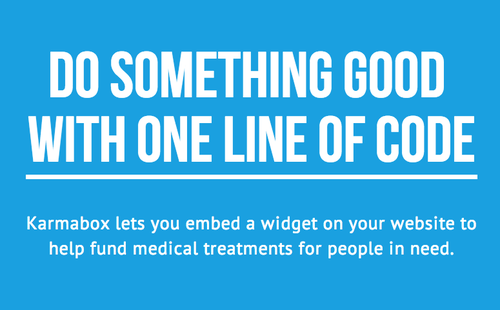 With Karmabox, anyone can embed a widget on their website to help fund medical treatments for people in need. We are blown away by people who donate their time and talents to create awesome things for Watsi. Thank you to our friends Manuel and Jenny for making this happen!